There are two very compelling reasons to feed your garden naturally. Long term you’ll build better soil and a healthier ecosystem. Short term and long term you’ll save money. If you’ve been reading most of our newsletter articles, you know that we consider good soil to be the absolute foundation to good gardening. Good soil not only produces better plants, lawns, flowers, fruits, and vegetables, it also creates a better environment. Good soil also looks and smells good. Feeding your garden “naturally” will also save you money. When you feed your garden plants with natural and organic products, you build a healthier soil. Healthier soil improves yield, supports healthier plants, and reduces or even eliminates the need for nasty chemicals. Higher yields, independent of chemical sprays, are very cost effective. You get more, and spend less. When it comes to feeding your gardens naturally, you have two basic options – commercially produced organic fertilizer or compost (either homemade or purchased). There are many organic fertilizers on the market today. Plant-tone, an all purpose granular organic plant food, is easy to apply and very safe. For a more specifically blended fertilizer, try Vegetables Alive!, Tomatoes Alive!, Flowers Alive! (for both annuals and perennials), and Fruit Trees Alive! All of these commercially produced organic plant foods provide well balanced plant nutrition that breaks down slowly. Organic plant foods will feed fairly consistently over time – unlike water soluble chemical fertilizers, that can easily overfeed or burn tender plants and diminish rapidly. 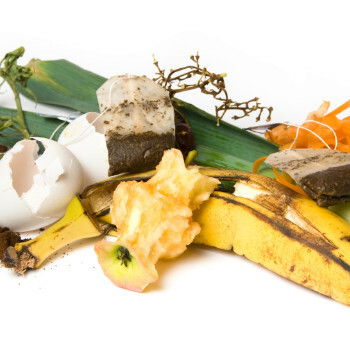 If you’ve read several of our recent newsletters, you know that we just love compost. Compost is the single best thing you can add to your garden soil. Not only will compost improve your soil’s texture and structure, it will also improve your garden’s fertility. Compost adds nutrients as well as beneficial microbes that will help your plants grow bigger and stronger. Compost has become so popular for good gardening, that you can now buy it! Not long ago, if you wanted compost, you had to make your own. That’s still our preference, but if you’re limited in the space you have, or you simply don’t want to make your own, you can buy the real thing. Some companies sell dehydrated cow manure as compost. The cow manure is good for your garden, and a good additive for compost piles, but it’s technically not compost. Some products labeled as compost are dehydrated human sewage; read the description of the product before you buy it! It’s easy to make your own compost. You just need a little bit of space to devote to a compost pile or bin, and some patience. Make compost faster and easier with a Mantis composter. There are models for every size garden. The ingredients for making great compost are all around us. Unfortunately, they often end up in the trash instead of in the compost pile. Grass clippings, dry leaves, garden scraps, and most kitchen scraps are great compost ingredients. Some animal manure can be a very good compost component – but never add dog or cat feces to your compost. Learn how to compost and some interesting things you can put in the compost pile or compost tumbler. I am 71 and have gardened all my life, and have a small garden, but I have enough to eat and put up a lot in the freezer. My mantis is great to use. That’s awesome, Paul. And thanks for the nice compliment!